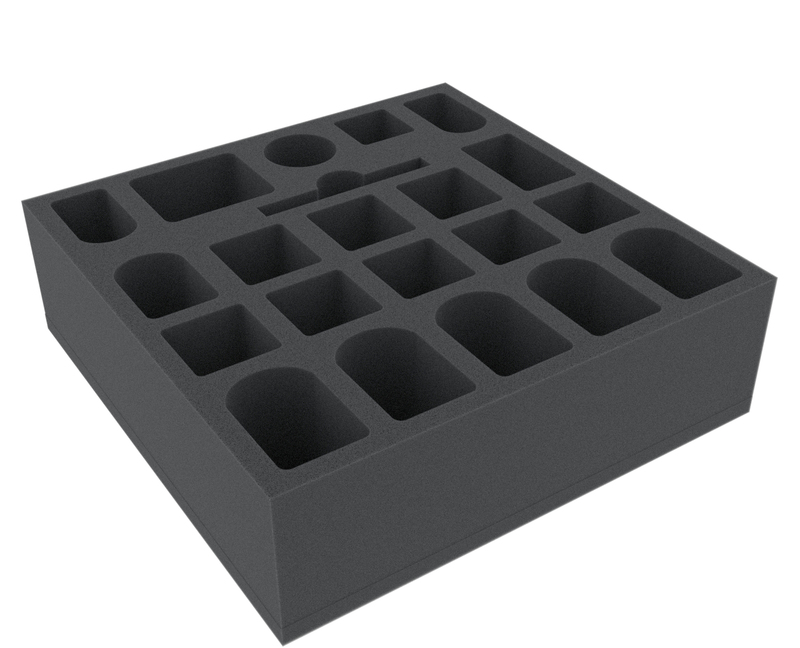 You have both board game boxes, Base Game and the Frigost expansion, at home and want to keep them safe and clear with our custom foam trays? Then this package would be a convenient solution for you. 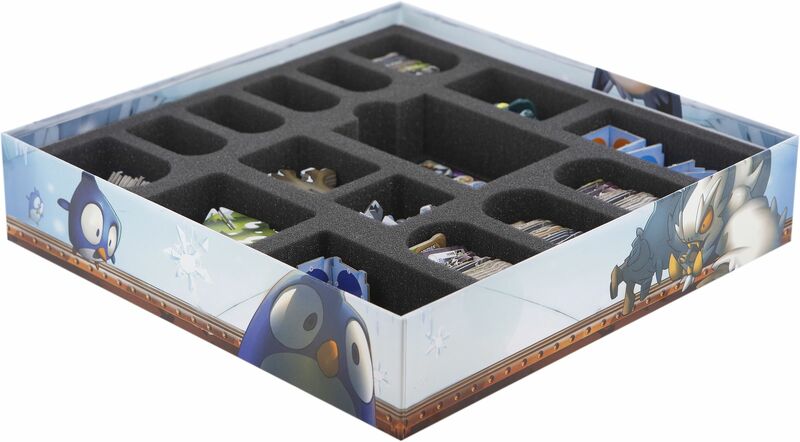 These two foam trays fit exactly into the original board game boxes and thus provide optimum protection for your figures. 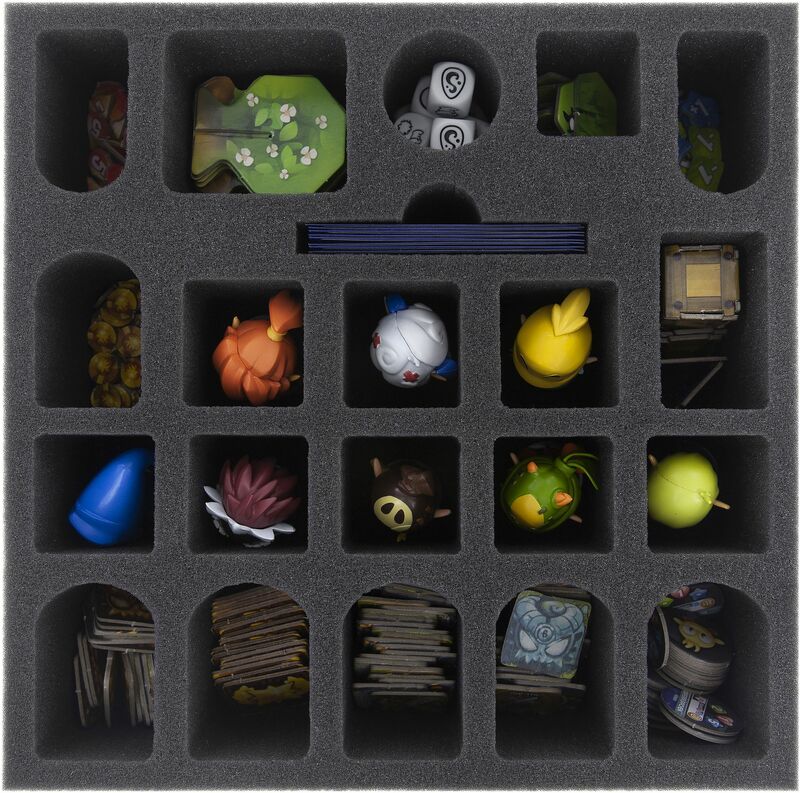 The game material can be clearly arranged which will save you time and patience. That is of a better use in the arena. 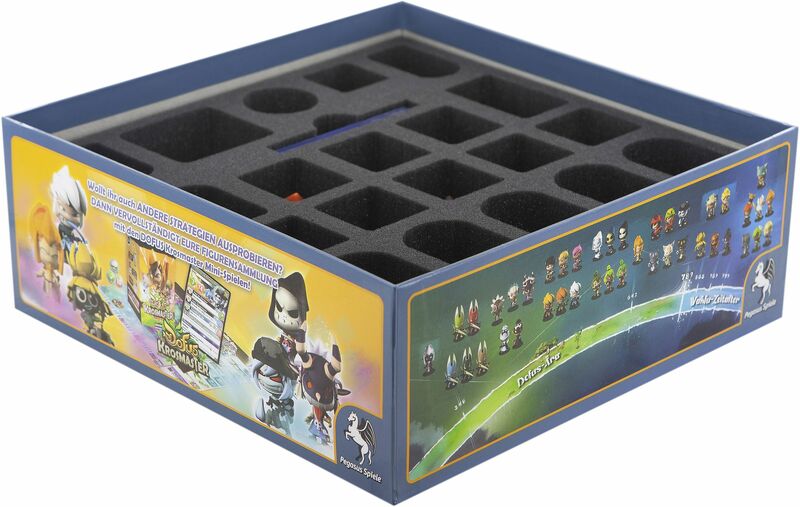 Of course, there is also a matching foam topper for each tray to protect the contents of the box upwards. 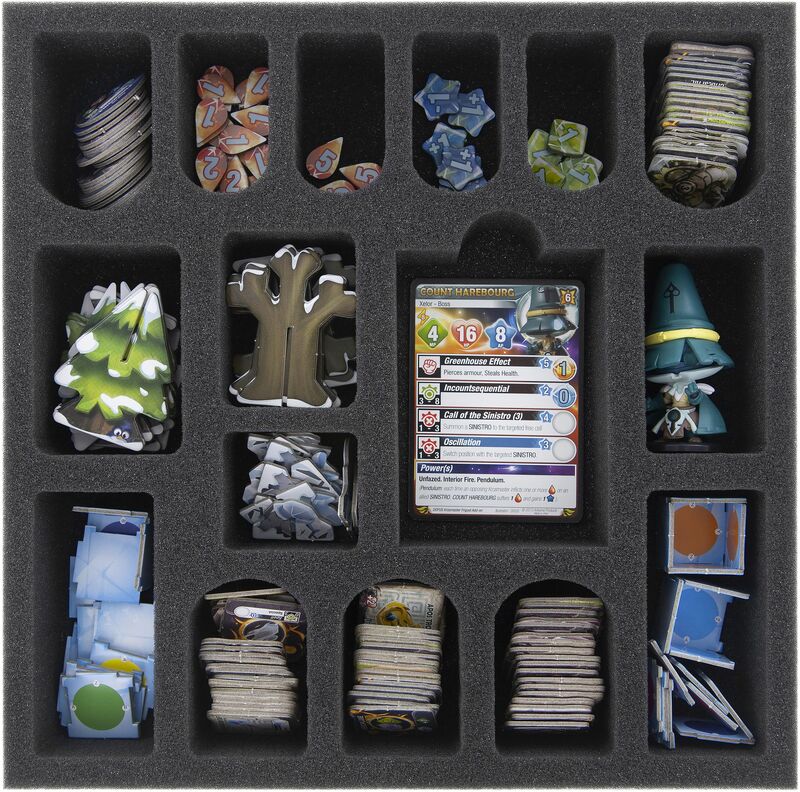 Base game and expansion are well stowed away and you are always ready for the next game or tournament. 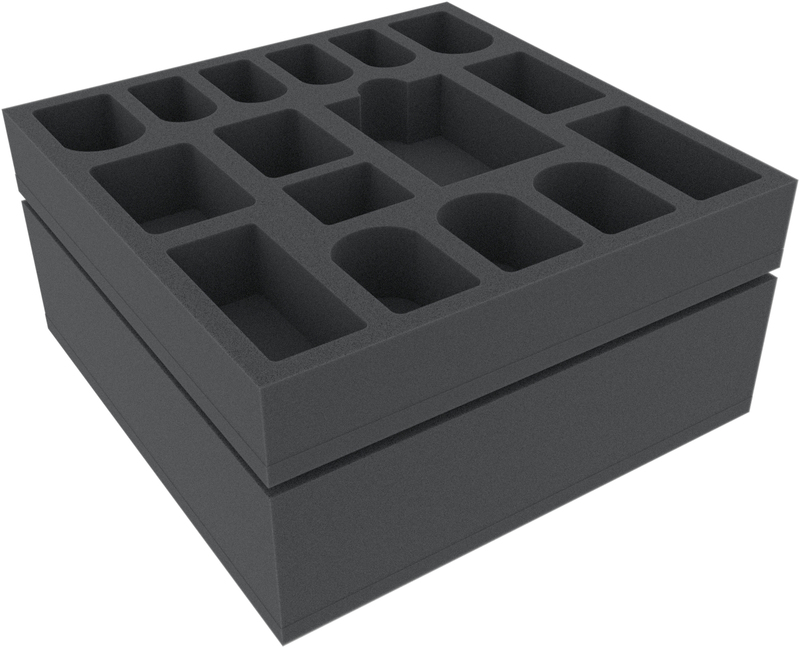 Krosmaster Arena: 265 mm x 265 mm x 80 mm height (70 mm usable height + 10 mm foam base).